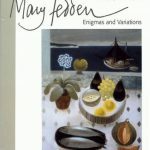 Mary Fedden, artist: ‘She was one of Britain’s best-known and most sought after painters’ (The Telegraph); she ‘brought to perfection a style that married a very English sensibility to a modern European one’ (The Guardian); ‘an artist whose exquisitely executed paintings often take the form of a hybrid between a still life and a landscape’ (The Independent). She left behind a substantial body of work in oil, gouache, pencil and collage which is often quietly surreal. Mary Fedden, artist, was born in 1915 in Bristol. She studied at the Slade School of Art in London from 1932 to 1936 under the theatre designer Vladimir Polunin, who had worked with the Ballets Russes. She painted sets for professional performances at Sadlers Wells, but decided against stage design as a career. 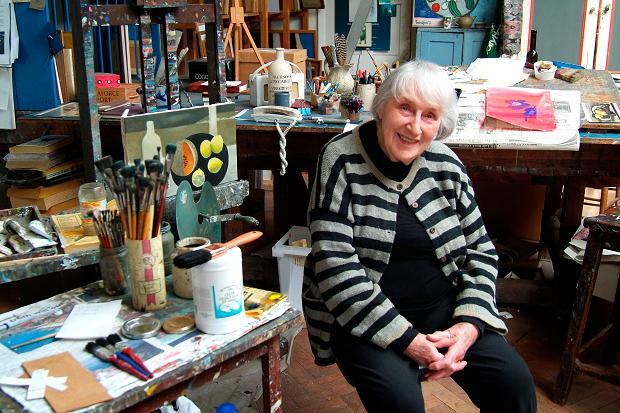 Returning to Bristol, she taught art and made a living by painting portraits. During the war she served in the Land Army and the Woman’s Voluntary Service, and on settling in London she worked as a stage painter for the Arts Theatre in Great Newport Street and produced propaganda murals. In 1944 she was called up, and sent abroad as a driver for the Navy, Army and Air Force Institutes (NAAFI). After the war she returned to painting and in 1947 held her first exhibition of still life and flower paintings at the Mansard Gallery in Heal’s Department Store. She was subsequently commissioned to paint covers for Woman magazine. In 1949 she moved to Durham Wharf, a complex of studios on the Thames at Chiswick, where she still lives and works. 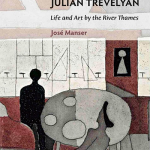 In 1951 she married the artist Julian Trevelyan (1910 – 1988), whom she had met before the war. Together they worked on a series of murals for the Television pavilion at the Festival of Britain in 1951, the P & O Liner Canberra in 1961, Charing Cross Hospital in 1980 and and Colindale Hospital in 1985. They travelled widely together throughout Europe, Africa, India, Russia and America. 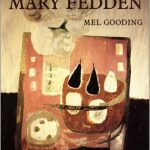 From 1946 Fedden had regular exhibitions at the Redfern Gallery, the New Grafton Gallery and many other galleries throughout Britain. In 1958 she was the first woman tutor to teach in the Painting School at the Royal College of Art. At this time David Hockney, Patrick Caulfield, Allen Jones and RB Kitaj were studying there. It is not difficult to see signs of Mary Fedden’s influence in all of them. She subsequently taught at the Yehudi Menuhin School from 1965 to 1970. In 1992 she was elected a Royal Academician in the Senior Order and she has been a member of the Royal West of England Academy at Bristol since the mid-1930s. She received an OBE and a Doctor of Literature, Bath University in the 1990s. Mary died in London on 22nd June, 2012. 2008 – Portland Gallery Retrospective Fedden Exhibition with 125 paintings spanning six decades.